Larger Project 6-8, Family Room » Roger Perron Inc. 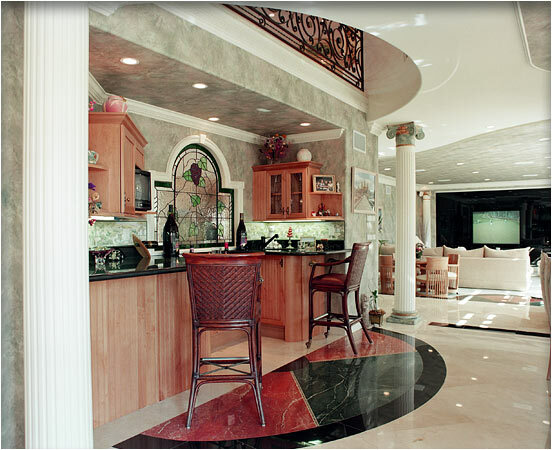 This view shows the bar and its relationship to the family room. The cabinets are similar to those in the kitchen but have a different door style. The splash above the counter has a vineyard designed border. The flooring is 24″ x 24″ slab marble with custom floor patterns. This bar was designed so the owner could sit in a stool with his back to the stained-glass window and entertain three guests in front of him.